At Commercial Laundries Orlando, we pride ourselves in taking care of our local customers with unmatched, speedy service with a smile. We do this by going against norms of the industry, where many national laundry chains partner with freelance contractors to perform services. Instead, we have built a family of trustworthy, dependable technicians whose skills are among the best in the industry. This has helped us not only become one of the best Orlando commercial laundry companies, but also provide all of our customers the top tier service they need to keep their operation running smoothly. When you are in need of service, maintenance or repair, wouldn’t it be great to work with a skilled technician who is familiar with your operation and your machines, and who you have perhaps worked with before and built a rapport? This is what you can expect when you work with our Orlando commercial laundry service techs. Commercial Laundries is committed to keeping our employees at the top of their game. We accomplish this through continue-education courses and countless hands-on training sessions where they can further their skills. One of the most popular aspects regarding our local commercial laundry solutions team is that each member is assigned their own route, allowing them to service the same clients as needed and building a relationship. This method helps follow-up and any other communication run smoothly every time. We are pleased to offer a variety of services to our customers around the Orlando area. This can range from everyday, small repairs and maintenance to larger jobs such as outfitting and installing your onsite commercial laundry facility. In addition, many of our customers searching for commercial laundry equipment are thrilled to learn about our lease programs, as each lease client receives complimentary service and maintenance for the lifetime of the contract. This helps keep the machines running at peak levels, and helps keep your facility profitable and efficient. In addition, Commercial Laundries Orlando also offers customizable service maintenance packages. These packages are ideal for business owners and managers who need a commercial laundry facility onsite but don’t want to deal with the daily responsibilities of running the operation – this is where we come in to partner with you. With our service maintenance packages, you can rely on a quick response time in order to decrease downtime; top level service technicians who have undergone extensive background checks; fully-stocked service vehicles that bring the equipment and parts that you need; and real time GPS vehicle tracking so you know when to expect your technician. Need Orlando Commercial Laundry Equipment Service Today? 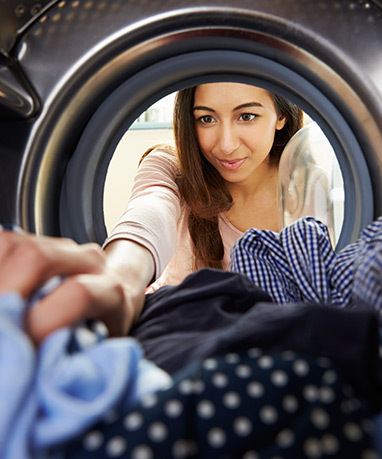 Don’t lose profits or frustrate your tenants with sluggish, broken commercial washers and dryers. At Commercial Laundries, we understand how important it is for your business to have effective, dependable equipment. Reach out to an experienced representative regarding service or repair issues, or find out about customizing a service maintenance program for your onsite laundry facility. Learn more or request service today.